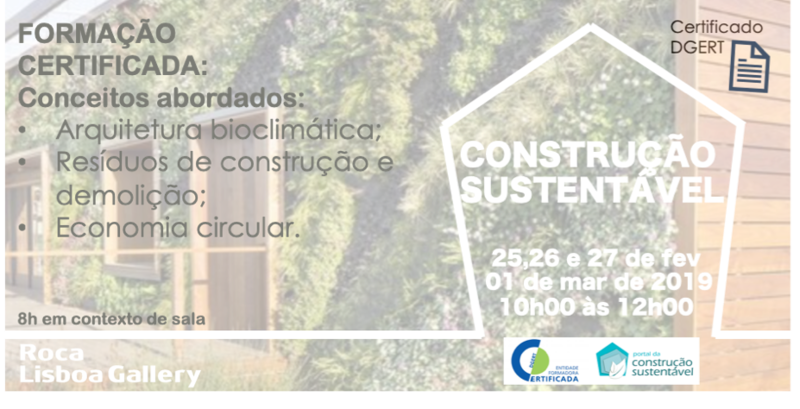 Hours: 10:00 a.m. to 12:00 p.m.
Bioclimatic architecture; Sustainability in construction; Circular economy. Systems of evaluation of sustainability in construction. MODULE IV – Is it possible to build with waste? Deconstruction of buildings – what future? Brief approach. Mandatory registration until February 18, 2019 (registration only becomes effective after payment).